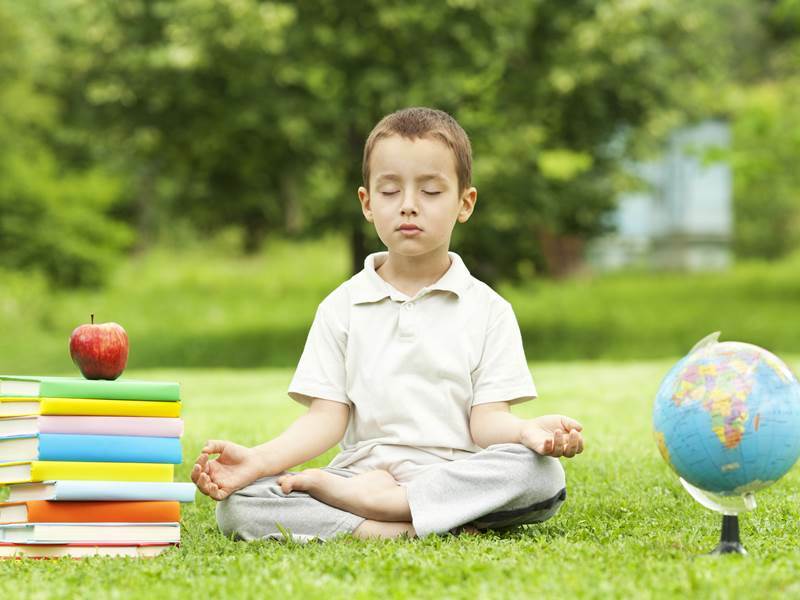 We’ve seen yoga, standing desks and vegetarian lunches turn troubled schools around, but we’ve never seen meditation adopted successfully within the school system. Until now. According to reports, several San Francisco middle and high schools, as well as scattered schools around the Bay Area, have adopted what they call, “Quiet Time” – a stress-reduction meditation strategy that is doing wonders for students and teachers. The first school to adopt the Quiet Time practice in 2007, Visitacion Valley Middle School, has reaped huge rewards. Formally a school largely out of control, Visitacion Valley is smack in the middle of a neighborhood where shootings are common. This resulted in the students getting bad grades, skipping school and fighting daily, as they were likely highly troubled by the violence surrounding them. The situation at Visitacion Valley was so dire that teachers even started calling in sick, to avoid teaching these kids. The school tried everything from counseling to peer support to after-school tutoring and sports but nothing seemed to work until Quiet Time entered the picture. I agree! As a school nurse I see kids acting hyper. They have their cell phones, and always in high noise, discussion or activity. They are never taught to sit quite, reflect and meditate.This meditation does not only calm them and provide tranquility and improve learning at present but also will help the kids to cope with stress in their teen and adult life. I just finished a summary of Staying Sharp: 9 Keys for a Youthful Brain Through Modern Science and Ageless Wisdom by Henry Emmons and David Alter on my blog http://DrDougGreen.Com. Here is the link: http://bit.ly/20M8r1l. One of their keys deals with meditation. Thanks for this post. I hope more schools try it and report back. I'm reposting this today. We've seen yoga, standing desks and vegetarian lunches turn troubled schools around, but we've never seen meditation adopted successfully within the school system. Until now. According to reports, several San Francisco middle and high schools, as well as scattered schools around the Bay Area, have adopted what they call, "Quiet Time" - a stress-reduction meditation strategy that is doing wonders for students and teachers. The first school to adopt the�Quiet Time practice in 2007, Visitacion Valley Middle School, has reaped huge rewards. Formally a school largely out of control, Visitacion Valley is smack in the middle of a neighborhood where shootings are common. This resulted in the students getting bad grades, skipping school and fighting daily, as they were likely highly troubled by the violence surrounding them. The situation at Visitacion Valley was so dire that teachers even started calling in sick, to avoid teaching these kids. The school tried everything from counseling to peer support to after-school tutoring and sports but nothing seemed to work until Quiet Time entered the picture.